For product name, use IOSScreenEdgePanGestureTutorial and then fill out the Organization Name and Organization Identifier with your customary values. Enter Swift as Language and choose Next. 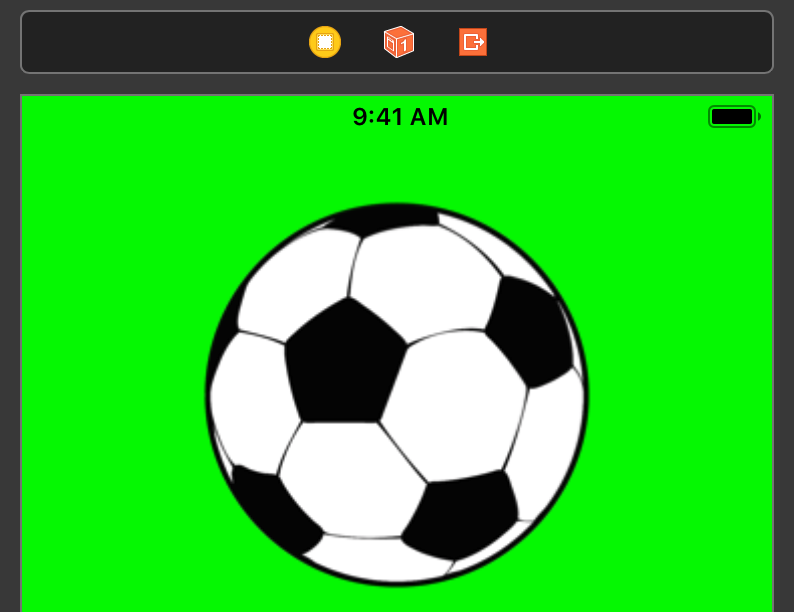 We need an image of the soccer ball, download it and add it to the project. Go to the Storyboard and drag an Image View to the main view. Select the Image View, go to the Size Inspector and fill in the following values. Select the Image View again and go to the Property Inspector. In the Image View section select the soccer ball image in the Image field. Select the main View and change the background color to green, The Storyboard should look like this. Next, we need to add the Auto Layout values. Ctrl and Drag from inside the image to a little bit to the left, while staying inside the image. Hold down the Ctrl key and select both the Width and Height options. Ctrl and Drag from the image to the top of the view. Select "Top Space to Top Layout Guide" and "Center Horizontally in Container"
Select the Assistant Editor and make sure the ViewController.swift is visible. 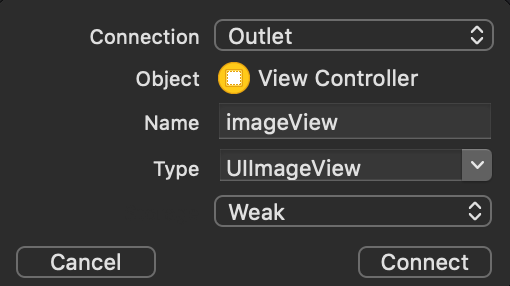 Ctrl and drag from the Image to the ViewController class and create the following Outlet. a UIScreenEdgePanGestureRecognizer object is initialized. When this gesture is detected from the left side to inside of the view, the rotateBall method is called. if the ball has rotated a whole circle the radius is reset to 0. An animation is performed where the ball rotates 90 degrees in 1 second. Build and Run the project, Make a Screen Edge Pan Gesture from the left side to rotate the ball. You can download the source code of the IOSScreenEdgePanGestureTutorial at the ioscreator repository on Github.